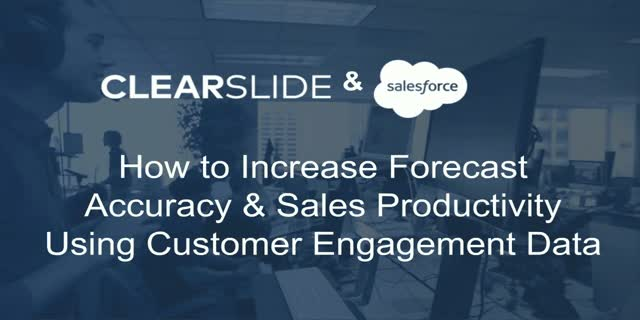 Gain insight into pipeline risk using ClearSlide’s customer engagement data through Salesforce dashboards. Sales leaders can view forecasted deal exposure due to low customer interaction, and which teams or members are having quality customer conversations to efficiently move deals forward. Sales reps can benchmark the quantity and quality of their customer interactions against those of their top peers.